Universal Newsline - Business, Lifestyle, Entertainment : Are you ready to make that first impression in your college? Are you ready to make that first impression in your college? On the first day of your college, you wear your best outfit to make a great impression on the strangers who may later become your best buddies. Everyone wants to look their best and be the centre of attraction in the campus. 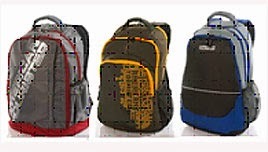 While your attire does matter, a trendy and cool looking backpack can further enhance your personality. Almost a decade ago, college bags were either black or brown in colour with not too many design options. However, today, they come in various colours, designs and sizes. While you choose to splurge a lot of pocket money on choosing a bag do remember that the looks and functionality of the bag is equally important as the price. American Tourister gives you tips on how to choose a trendy and colourful bag as your buddy to college. Trendy and colourful bags are a part of one’s style statement. Bags with multi-coloured designs give you a new look altogether. Purchase a backpack that accommodates your laptop with ease along with your books. The disadvantage of not having a provision for carrying your laptop should not force you to compromise on the safety of your laptop. An ideal backpack should be usable all around the year. During monsoons, students struggle to protect their bags under their windcheaters/raincoats. So choose a backpack that is rain resistant. Durable backpacks may ensure that your belongings are safe and sound, and you may very well rely on them. When in college, you must be smart enough to choose a bag that lasts for a longer period. So when you rush to the stores to purchase your backpack, make sure to choose the right bag that speaks about your personality. American Tourister backpacks have style and comfort packed in perfect sync that makes them the ideal choice as a college companion.